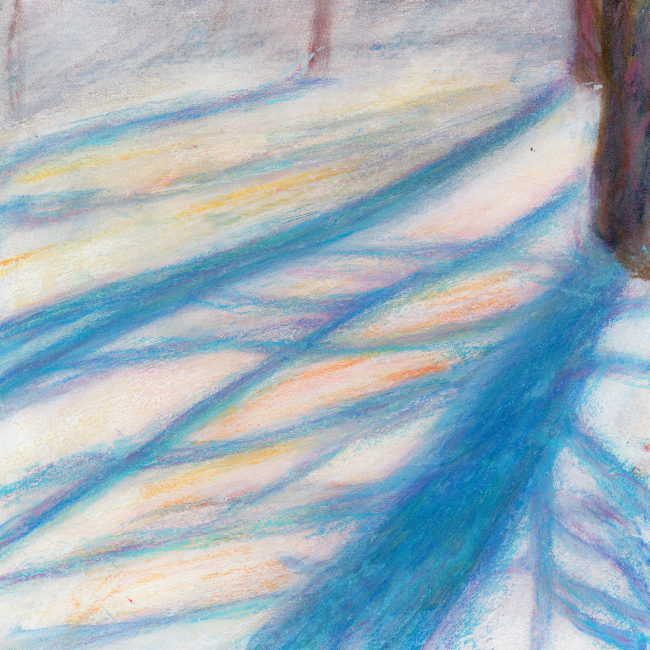 diana lynn's painting a day: Second Snow Shadow. My wondering got the best of me and I decided to try the same painting, but this time focus less on the beautiful blue of the snow shadows and paint the other colors I could see too. Interesting idea. But that's where it ends. I like the first one better. But, I do have that "snow shadow" thing.